Elizabeth Luke, the owner of The Jacksonville Baby Co. has been a trusted provider of personalized care and support to families in and around Jacksonville, Florida for the better part of two-and-a-half decades. In 2013 Elizabeth realized it was time to turn her life’s work into something bigger and even more meaningful. And so our story began! Since beginning in 2013 Elizabeth has grown a successful, full-service agency that serves hundreds of families each year. 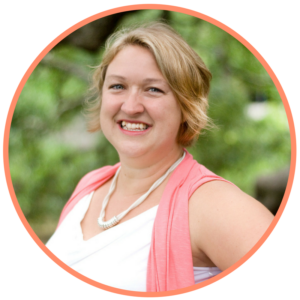 Elizabeth is committed to improving maternal-infant health by providing unparalleled support to families as a dual certified perinatal, postnatal, and infant support specialist, childbirth educator, and certified postpartum placenta specialist. Our story doesn’t end there! Each member of our team has been professionally trained and hand-selected by Elizabeth to provide families with the absolute best support the Jacksonville area has to offer! Do you want to learn more about our support team and how your childbirth and parenting journey can be enhanced and supported? Schedule a complimentary phone consult to talk through your specific needs and to find out exactly how our team can benefit you and your family! It is our vision is to have a place where all parents can come for support without hidden agendas. A place that helps Jacksonville families feel even more secure and confident through research-based education. Our team is committed to helping families have more positive experiences as defined by the parents themselves. We want to see families thrive! There’s no right or wrong way to birth or parent, only different ways. It’s your family, your birth, your body, and your choice. We support you because this is your story, it’s not about us! It is our mission to compassionately provide an objective perspective to families so they feel supported and empowered in the myriad of choices they will make during this time in their lives. In doing so we help families reach their goals for birth and parenting in the way that is right for them! It is also our mission to maintain a sustainable business so that we can consistently bring the very best support available to families in the Jacksonville, Florida area. Our values lie in our mission, vision, and philosophy! Learn a little about by contacting us today! The Jacksonville Baby Company promises unwavering, truly non-judgemental, practical support through the childbearing years. As trusted perinatal educators and postpartum and infant care professionals, we promise to further our education and work diligently within our scope to support families in a manner that is consistent with our mission, vision, and philosophy. Learn More About Us and Let Us Get to Know You! About us: The Jax Baby Company serves all parts of Northeast Florida including Jacksonville, Jacksonville Beach, Mayport, Neptune Beach, Atlantic Beach, Ponte Vedra, St Augustine (with travel fee), Fernandina Beach, Amelia Island, Yulee, Callahan, Hilliard, Bryceville, Macclenny, Middleburg, Orange Park, and Fleming Island. We also serve families living in Southeast Georgia including Woodbine, St Mary’s, and Kingsland, Kingsbay. About us: Our information is handed out to families birthing in the following hospitals through-out Jacksonville and the surrounding areas; St Vincent’s Southside, St Vincent’s Riverside, UF Health Jacksonville (formerly, Shands), UF Health North, Baptist Beaches, Baptist South, Baptist Health Downtown, Baptist Nassau and Southeast Georgia Health System in St Mary’s, Georgia.